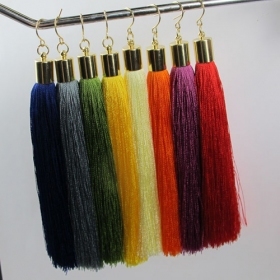 These gorgeous earrings have chiffon tassels with several colors. Great conversation piece. Wearing these eye-catching earrings, you must look even charming, elegant and beautiful.